Free eLearning eBooks / How To Design Learning Journeys? 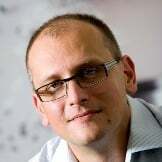 How To Design Learning Journeys? Designing blended learning (a.k.a. learning journeys) is not an easy task. You have not only to know and understand the Instructional Design principles, but also to be familiar with all of these learning tools which could effectively influence learners. Well – you can use ADDIE as a basis for your work. I would like, however, to show you another approach on how to design learning journeys. 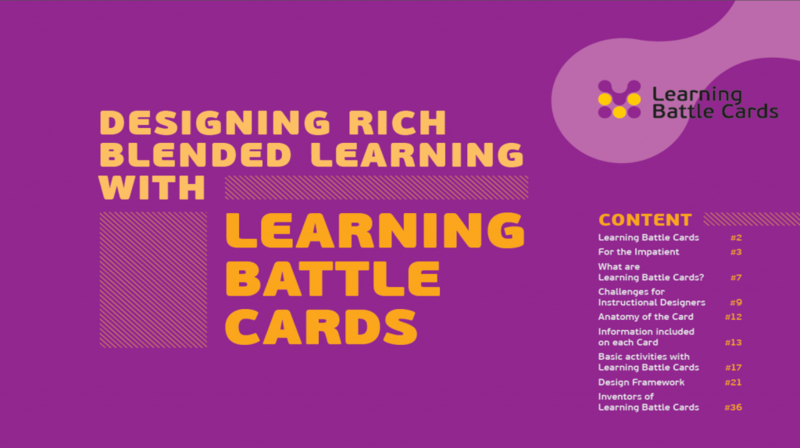 We have just published a new eBook on how to design learning journeys, which we called “Designing Rich Blended Learning With Learning Battle Cards”. It is, in fact, a more in-depth instruction of how to effectively use Learning Battle Cards as an Instructional Design tool (I wrote about this tool here). Section 1: Challenges For Instructional Designers. In this chapter we briefly discuss several Learning and Development trends which challenge educators. You will find here a short elaboration on multi-generation workplace, prosumers in learning or adaptive learning environments – to mention only a few. Window 1: Analysis of Needs. Section 3: The List Of Learning And Development Methods. 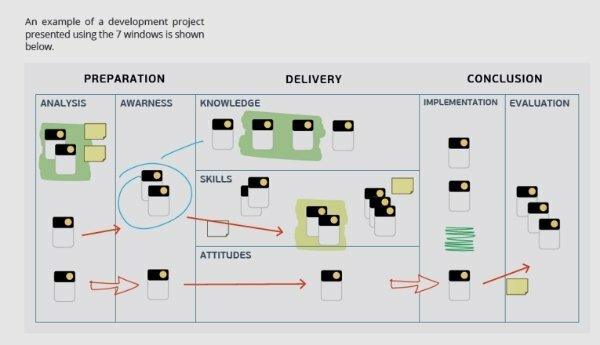 In the last part of the eBook you will find a table with Learning and Development methods which are suggested for use in every single window. We placed them all cards from the deck of Learning Battle Cards (108 altogether) which make out if this table a complex support mechanism for every Instructional Designer (even the ones who don’t have a deck of LBC).